The VH1 Save The Music Foundation has been selected as the benefitting charity of Perez Hilton's “One Night in Austin” event at South By South West on March 17, 2012. Returning to Austin for the fifth consecutive year, this legendary series, produced by The BMF Media Group, will feature performances and DJ sets by an array of today’s top artists (to be announced the weeks leading up to the show). There are a limited number of tickets available and can be purchased at $25 (General Admission) and/or $50 (VIP) at www.vh1savethemusic.com/perez. 100% of the proceeds from ticket sales will benefit the VH1 Save The Music Foundation and its mission to restore instrumental music education programs in our nation’s public schools. In conjunction with the event, VH1 will donate $1 to the VH1 Save The Music Foundation throughout the month of March for each check in on Foursquare at any music venue across the country. With each check in, participating individuals will receive the exclusive “VH1 Save The Music” badge. Through these combined efforts, the Foundation can receive up to $50,000 in donations, enough to restore a complete music education program. Users must follow VH1 on foursquare to unlock the badge and trigger the donation at: foursquare.com/vh1. 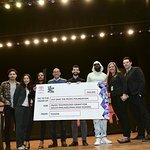 Since its inception in 1997, the VH1 Save The Music Foundation has provided more than $48 million in new musical instruments to 1,800 public schools in more than 100 cities around the country, impacting the lives of over 1.8 million children. Thanks to the generous support of celebrities like Perez Hilton and the VH1 Save The Music Ambassadors, including Katy Perry, Daughtry, Lupe Fiasco, Jordin Sparks, Matthew Morrison, Vanessa Carlton, AJ McLean and Gavin Rossdale, the Foundation is able to generate awareness about the importance of music in a child’s education. 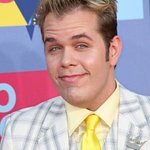 Using Perez Hilton’s “One Night in Austin” as the marquee event, fans are encouraged to use Foursquare to check in at various SXSW events as well as any music venue across the country throughout this month. With the support of VH1 and Foursquare and by simply checking in each time you enjoy live music, you can help the VH1 Save The Music Foundation raise needed funds to continue their work in American public schools.